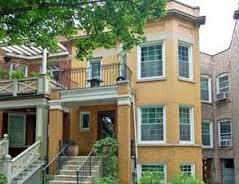 In the Chicago area we have many multi-unit properties from the 20th century or earlier that were built to last a very long time. Over time they have become outdated yet still offer great potential due to location and durable construction, etc. I want to spread the word there are two types of mortgage loans that will allow someone to buy a 2, 3 or 4 unit apartment building and add in extra funds to bring it up to date. These loans are called HomeStyle and FHA 203K. As a Loan Officer who understands rehab mortgages very well, I have helped clients purchase these small income buildings to live in and rehab. Purchasing a small apartment building to occupy and lease out the other apartments can make great financial sense. The reason why is there is another apartment or two or three generating monthly rental income to help you pay the mortgage payment, property tax and insurance plus you have an apartment to live in. One client purchased a 4 unit apartment building dating to about 1910. It is brick with two 3 bedroom apartments and two 2 bedroom apartments. It was being sold by a family who owned it for decades but had done no modern updates. This client used an FHA 203K with the minimum 3.50% down payment to purchase it at $365,000. He borrowed an additional $240,000 for a substantial rehab. That money was spent on new plumbing, wiring, separate HVAC, floor restoration, lighting, all new doors, many new windows, new kitchens with new appliances and new baths for each unit. He also added a stacked washer/dryer in a pantry for each unit. The total of $365,000 + $240,000 is $605,000 which represents the acquisition cost. His 3.50% down payment off the total was $21,175. Today he lives in one of the 2 bedroom units and rents the other three. The 3 rents more than pay the entire mortgage, property tax and insurance costs plus generate a small profit each month. The property has been appraised for much more than was put into it. We call that creating “new equity”. Another client bought a 3 unit apartment building with a small coach house in the back. This client is doing a modest update of the 3 unit main building and will occupy the coach house. 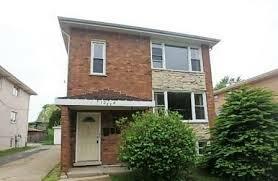 Here an FHA 203K was used with the minimum 3.50% down payment as well. 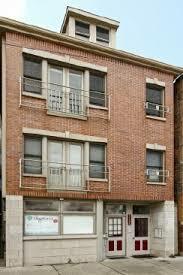 Another client bought a 2 unit 1920’s vintage building as a foreclosure. The property had been damaged slightly by vandals but otherwise was in good condition. He purchased it for $265,000 plus $135,000 more in rehab funds. All with an FHA 203K with a minimum 3.50% down payment. After installing new separate HVAC, new kitchens and appliances, new baths and adding a stacked washer/dryer to both units he has a renovated property that is easy to rent. The rent from the second apartment helps pay about half the mortgage payment, property taxes and insurance cost. He lives in a newly rehabbed apartment too. I have a client offering on a mixed use building with a commercial space on the first floor and one apartment above. The FHA 203K mortgage will allow the purchase to be financed and residential rehab funds to be added on a mixed use building as long as the owner will occupy it and the residential space is 51% of the total square footage. Rehab funds are limited to use in the residential space only. I have a client offering on a single family house she plans to rehab and rent out. She is using a HomeStyle rehab loan to borrow the funds to both acquire the house and rehab it. Here the rule is a 20% down payment is needed for an investment property rehab purchase. As with FHA 203K the future rent from the property is forecast by an Appraiser which allows the buyer to use 75% of that gross projected rent as extra income to qualify for the mortgage. In these examples my goal is to get buyers thinking about looking at multi-unit properties to rehab and the advantages of the FHA 203K and HomeStyle rehab mortgages. If you have never thought about purchasing a multi-unit property there may be benefits for you as above. Or if you already own one and want to rehab it these loans can be used to refinance the existing mortgage(s) you have and replace it with one that provides funds to rehab also. 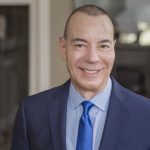 As a Loan Officer with years of experience with FHA 203k and HomeStyle I can help you navigate the process from start to finish. These loans and this approach to buying property offer many benefits and advantages. I write Blog posts frequently about each of them. My Blog is www.perryfarella.com/blog. What questions can I answer for you ? My email is perry.farella@primelending.com I am licensed in IL, IN, WI.